Interestingly, I had been drinking the Dark and Stormy’s twin brother for years without even knowing it had a name. But we’ll get to that in a minute. 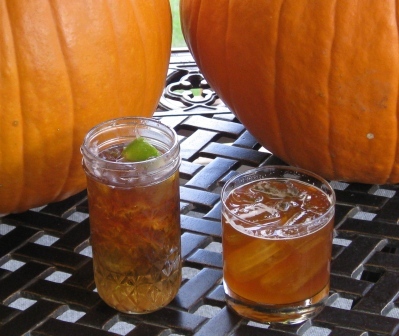 A Dark and Stormy is a unique highball that originated in Bermuda and has since spread around the world. They even make a pre-mixed version in a can in Australia. And I’ve noticed a surge of them on American bar menus of late. Originally, it was the combination of Gosling’s Black Seal Rum and Barritt’s Ginger Beer. It’s a simple recipe that still leaves a surprising amount of room for interpretation. There are 2 main areas you can experiment with a Dark and Stormy: the amount and type of ginger ale you use. Your ginger ale/beer of choice will have the largest effect. Barritt’s is very mildly spicy and drinkable on its own. Made with cane sugar, it blends very well with the caramel flavors in the rum and makes a great sweet-and-spicy drink. Barritt’s can be hard to find in the U.S., so I have had success with Boylan’s (sweeter), Reed’s (spicier), and Blenheim’s (probably closest to Barritt’s). Gosling’s themselves have even gotten into the act with a ginger beer made especially for this drink. And it too is quite good. I would just stay away from sodas sweetened with corn syrup (think Canada Dry or Schweppes) – they just never taste quite right with a sugar-cane based rum. Combine ingredients over ice in a ~10 oz rocks glass. 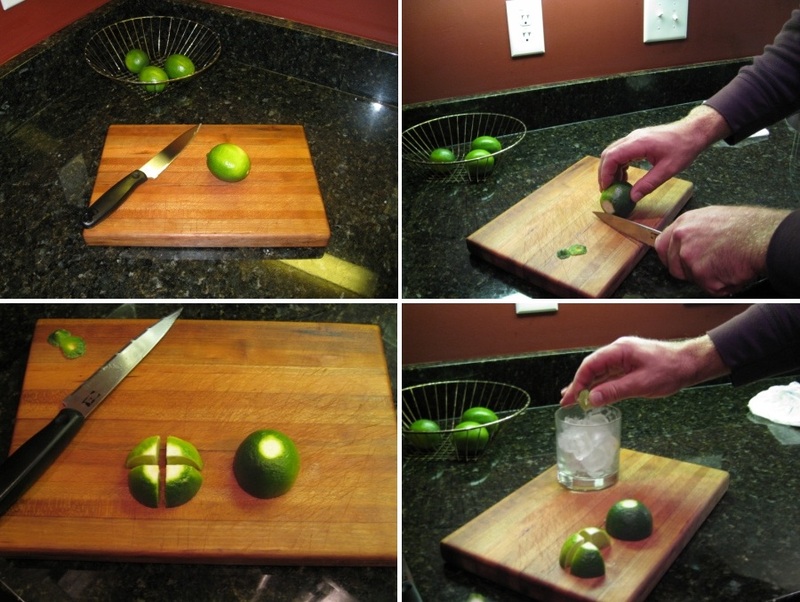 Squeeze the lime wedge into drink before dropping in the glass. I recently had a Dark and Stormy over brunch at Red’s Porchin Austin, TX. It was served in a 12 oz jelly jar and used a local spicy ginger beer with the rum floating on top. After lazily stirring my drink in the Texas summer heat I took my first sip and sunk into my chair with a smile. I was ready for my fish tacos and anything else the day brought. I stumbled upon the Light/Breezy recipe long before I knew it was a real drink and even before I had tried a Dark and Stormy. It came from a bar session of refrigerator roulette one summer afternoon where the only soda I had on hand was Fresca. I wrinkled my nose and tried a small taster of Fresca with a variety of liquors. All but one tasted truly awful. I had a bottle of Gosling’s in the back of the liquor cabinet and didn’t really know how I got it or what to do with it up to that point. But it mixed amazingly well with Fresca. The harsh chemical taste of Fresca really brings out the subtle caramel flavors in Gosling’s and this combination became my de facto summer drink for years afterwards. Why did I have Fresca in the first place? Anyone who grew up in the 1970’s remembers Fresca. It and Tab were the first broadly available diet sodas. Fresca was supposed to be like a diet Sprite (I assume) but the combination of grapefruit and artificial sweetener made it taste more like…well, something unnatural. I hated it as a kid. But as an adult I went to work for Microsoft in the mid 1990’s and amongst the sodas stocked in the break room was Fresca. Surprised that it was still in existence, I grabbed one during some late-night working session. I loved it — it is just about the only soda I will drink straight anymore. So back to the Light and Breezy. It’s a great beer substitute for those of us who are not big fans of brew. It is simple to make, lightly sweet and refreshing, low-calorie, and can be made stronger or weaker without drastically changing the character of the drink. Years later I was reading an article on the Dark and Stormy and learned that my creation had been made decades before in Bermuda and was dubbed the Light and Breezy. So much for originality. Combine ingredients over ice in a ~10 oz rocks glass. No garnish needed. Surprisingly, I haven’t introduced this drink to many of my friends. Was I keeping it a closely guarded secret? Partially. Maybe it’s just that very few bars stock Fresca, so I could only break it out in the home bar. But mostly, I think, it is that most people I mention it to say something like, “Ew! Fresca!?! Who would drink that?” So I never let them taste it. However, most of the people who have tried it have liked it a lot. Most notably my friend Tim and my sister Wendy. So this is for you. And for Mike — this is the drink I mentioned the other day. Enjoy. The only problem I have with the Light and Breezy is the name — every time I say it I think of feminine hygiene commercials. So…I need help. Comment with your suggestions on a new name. But you have to try the drink first and also tell me what ratio of rum-to-Fresca you prefer. Lastly a note on lime wedges. A lime wedge is different from a lime wheel. A wedge is 1/8th of the lime cut into a wedge that is easily squeezed into a drink. A wheel is a thin slice of the fruit that is dropped in or set on the rim of the glass. Easy enough to make, but one important note you’ll see in the photo-story above. Please cut off the stems of the fruit before cutting into it. The stems are known to drop off in the drink if not trimmed and they don’t taste good. This entry was posted in Uncategorized and tagged Fresca, Ginger Ale, Gosling's, Lime Wedge, Rum. Bookmark the permalink. I had a Dark & Stormy last week at the Rutherford Grill while enjoying the evening sun and waiting for a table. I saw they had Bundaberg ginger beer and wanted to give it a try. It was quite good, with a nice amount of bite but without being overly harsh — perfect after a day of wine tasting.